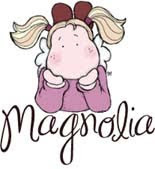 serena the magnolia's lover: Especially for you from Wilma! Oggi una nuova card...con Wilma, la dolce e pelosa amica di Tilda;o) Sta portando una rosa...ed è..."specialmente per te"! Ohhhhh ma com'è carinaaaa!!!! 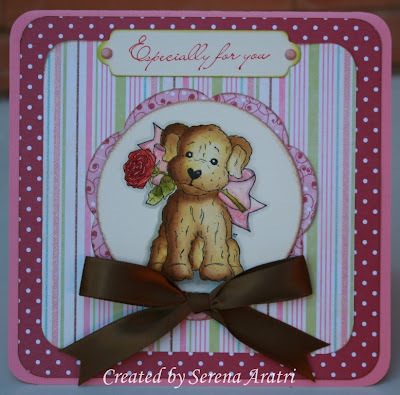 Today a new card...with Wilma, the sweet and furry Tilda's friend;o) She's bringing a rose...and it's "especially for you!" Ohhh she's too cute! Materiali/Materials: Timbri/Stamps: Wilma with rose (Raising the ceiling & Right trough my heart Collection 2010)and Especially for you (Chasing Butterflies Collection 2009) Carte/Papers: Bazzill, Basic Grey, Making Memories. Nestabilities, Impress and Distress. This is so beautiful Serena! Love your sweet image and gorgeous colouring!